Home Attendant Nursing provides private-duty nursing services throughout Whatcom and Skagit Counties. Home Attendant Nursing offers private duty nursing services for you or your loved ones in the comfort and convenience of their own home. You don’t have to compromise the in-depth services you need due to transportation or time constraints. Together with Home Attendant Care we have been serving seniors for over 35 years and are locally owned and family operated. We offer long term and one time nursing services. Our Nurses work with clients, their families and, when appropriate, other care professionals to develop an individualized plan of care ensuring that your loved ones are well cared for. Our Washington State Department of Health registered nurses and caregivers provide individual attention whenever necessary – for as long as it is needed. 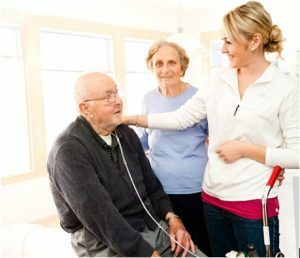 Home Attendant Nursing’s professional Care Transition Services also gives families peace of mind by providing coaching and support for their loved ones who may be transitioning from the hospital or skilled nursing facility back to their own homes. We meet with the medical team at the facility before and during discharge and then continue to follow the patient after their return home ensuring that all recommendations are followed and the recovery continues as planned. Our staff is on-call by phone 24 hours a day, 7 days a week to respond to emergencies, information requests, assessments, or to begin services. Our services are covered by most LTC insurance companies. Unfortunately, we are unable to accept Medicare or Medicaid patients. Many of our clients are private pay. Call us today to learn more about Home Attendant Nursing and the care we can provide you and your loved ones.